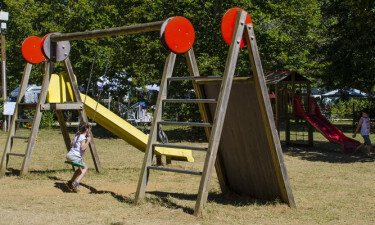 Set in the rolling hills of the historical Sarlat region, De Maillac is a luxury camping site that makes the perfect base for nature loving families. This relaxing and unforgettable experience is brought to you by the team at LuxCamp. The ancient site of Lascaux can be found just 15 miles from De Maillac and is a perfect place to explore during this enchanting camping holiday. 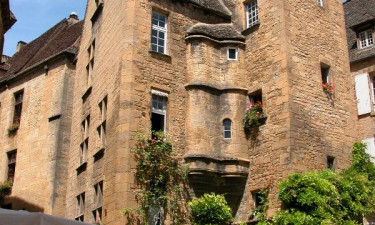 The River Dordogne is just a short drive away and this is a great venue to try water sports such as canoeing. Why choose Camping De Maillac? Families who like to play sports are sure to be in their element at De Maillac, as the site is equipped with tennis courts, a miniature golf course and other sporting facilities. The little ones are treated to their own club, where they can take part in a wide range of activities. Luxury camping lovers who want the chance to sample some of the region’s famous cuisine will not need to go far, as a large selection of classic dishes is served in De Maillac’s elegant restaurant. The site also offers outdoor dining in a pretty courtyard, while the wine list is extensive.